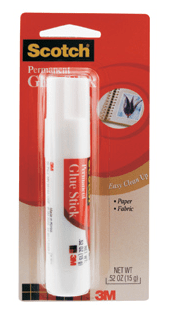 Glue stick. Strong and fast bonding. Cleans off hands and household surfaces with soap and water. Acid-free. Non-toxic.